I don’t normally do “tough” things. I’ve never been one to take on challenges. I do achievable things, which to me aren’t massive challenges. I wouldn’t try to swim the channel, because I’d drown. I don’t go on rollercoaster’s because I don’t like the feeling. I wouldn’t study to be a vet nurse because I’m squeamish. I wouldn’t try to run a marathon, because I would have to walk most of it. 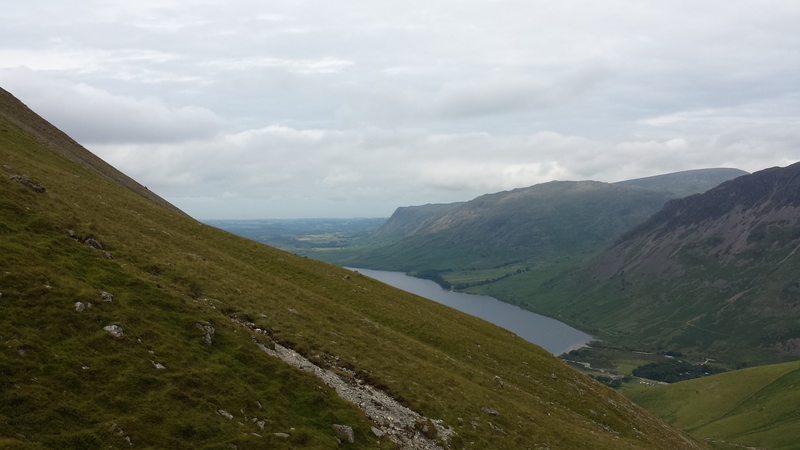 When we set out to do Scafell Pike I thought that it would be difficult but that I’d do it. After 50 minutes of walking I didn’t think I’d do it. Ash and I have wanted to do Scafell Pike for years. 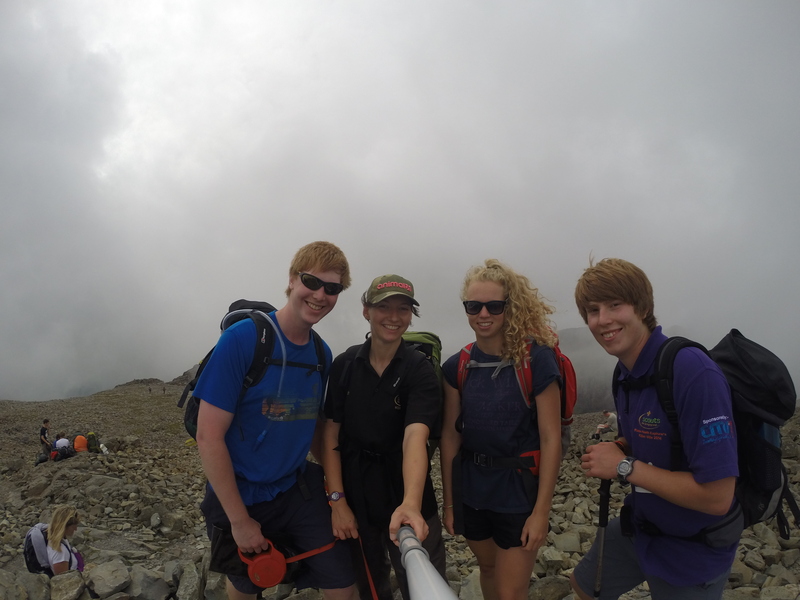 Ever since we did Snowdon and then Snowdon again we’ve been itching to do another of the “Three Peaks”. I think we’re both aware (me more than Ash) than Ben Nevis is a bit of a stretch, plus it’s blumin miles away, but Scafell Pike has always been a dream within reach. Finally it was organised. Ash, Guinness and I, plus Ash’s little brother Dan and our good friend Laura. We went last weekend. 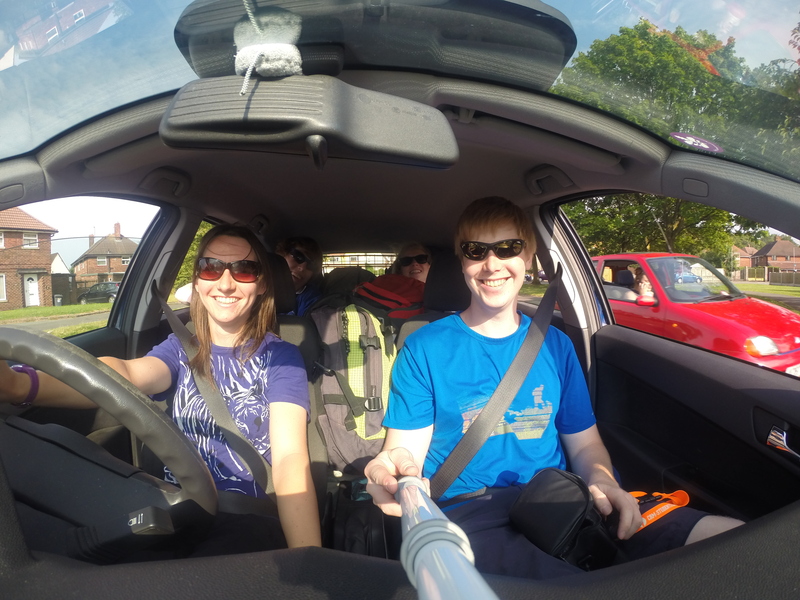 We started at Brackenclose and camped at the National Trust site. Stunning! On the edge of a lake and surrounded by mountains. I could have stepped out of a tent to that view every morning for the rest of my life. As we set off, very soon we were ascending up fairly steep steps. I got breathless and tired and dizzy and my legs ached. After only half an hour I was really struggling. Five steps then stop and breathe. Five steps and stop. I cried. I kept going. I cried. I struggled. It was so warm and muggy. Real sweaty weather. Ash, Dan and Laura (plus the dog) were off ahead and stopped regular for me to catch up and for us all to have a breath. I didn’t mind that they were ahead, it meant that they weren’t seeing the extent of my struggle. Honestly I’m not a great hill walker. I’ve never been a particularly great walker. It’s silly as my family have always walked. Since I was born we holidayed every year in the caravan and went on walks. But despite this I’ve never been great. I’ve completed the Yorkshire Three Peaks! I’ve done 25 mile day hikes with a weekend’s kit on my back for Duke of Edinburgh Award. Over flat terrain however! I’m rubbish on a bike. I’ve never been able to jog far (until my recent Couch to 5k experience, but even that has dwindled back to me managing about 20 minutes slow jogs). So I stood there struggling to breath and I honestly thought, I can’t do this. I’m going to have to go back and leave them to it. Luckily Ash was ahead, because if he had been next to me I would have told him I was going back. I stopped and sat down and nearly shouted ahead to him. I shook myself and carried on and caught up to them. He asked if I was okay, with watery eyes I said “Yes” and we kept going. We both knew I wasn’t really. Each time we stopped I laughed and said “I’ll meet you at the top. There’s no rush. I’ll get there eventually”. 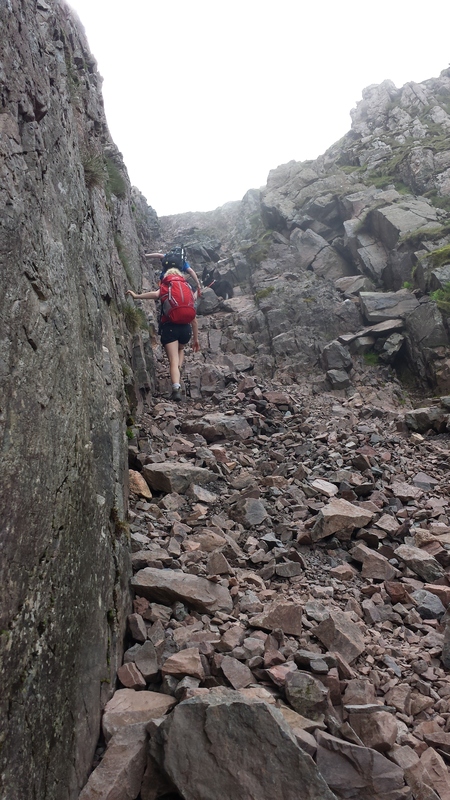 Nearly two hours later we reached the final steep scree section of Mickledore. Ash went behind me in case I slipped (not because I was struggling, but because I am generally clumsy and trip over air). As we started this section I felt much better. We were past halfway and doing quite well for time. I wasn’t being that slow. The last section of Mickledore was a scramble, hands and feet, I loved it! It felt like easy rock climbing, it was much nicer that constant steep walking. We were at the top of Mickledore as the cloud covered where we had just been and we could see the peak! Off we went at a decent pace and I only stopped once at the same time as everyone else. Then we were there. WOOO! It had taken us exactly 3 hours, the time recommended in all of the guides. I’d not done that bad then surely?! Lunch time and then I practical galloped back down. All my energy levels at normal. I was already thinking “That wasn’t so bad”, but in reality I knew it had been hard. I cannot remember ever struggling at something quite so much as that, and then pushing through and making it. I don’t think I’ve ever struggled so much, full stop. Although I am so sad and disappointed that I struggled that much, I am so overwhelmed and pleased that despite the struggle I still got to the top. Ash said “You don’t walk up mountains like this every day. We all found it hard”. He’s right and I would never expect anything like walking up 978m to be easy, but perhaps I thought I was fitter than I am, or I wish I was fitter. As we got back to the bottom it was only 2pm and we sat down by the stream. 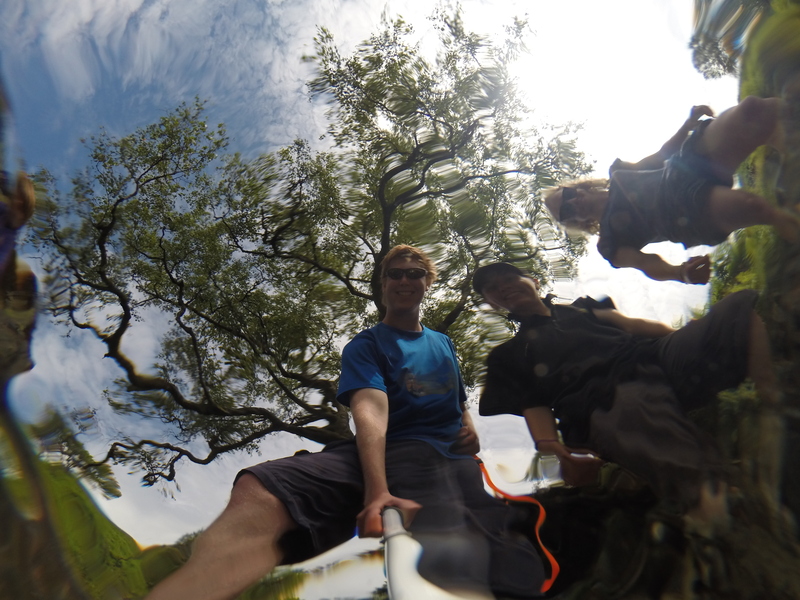 Ash’s socks and shoes came off quickly followed by Dan and then Laura and I and we all enjoyed a nice paddle. Brothers being brothers it wasn’t long before the two of them were lying in the water and messing around. We had so much fun! 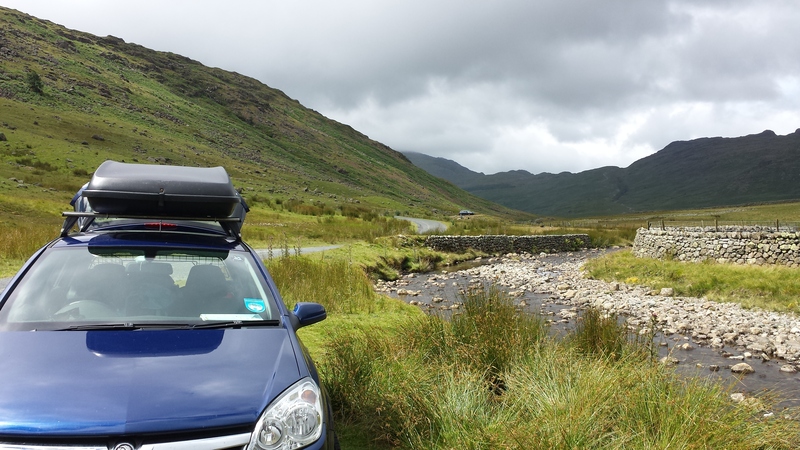 Back to camp for a shower and then we walked down the road to the pub at Wasdale Head, praying it was dog friendly. It was! I had wild boar sausage and mash! It was amazing! Another new experience right there. Too quickly the weekend was over and we drove to Ambleside via the craziest mountain road I have ever seen, let alone driven along! We couldn’t resist stopping alongside a stream in the valley to cook pasta for lunch. A quick flirt into Ambleside and then we said goodbye to the amazing mountain ranges and arrived back into Cheshire. I hope I never forget this weekend and the inner battle I overcame! There was talk of doing the Yorkshire Three Peaks again as we walking up and I just thought no, I don’t think I’ll do that again, I don’t think I’ll be doing any mountains again. But as we drove home I was already thinking “Yeah I can do it”. I don’t know quite why my fitness has dwindled so much. Three years ago I changed from scrubbing kennels part-time to driving a van and walking around full-time, it certainly seems to have had an impact. 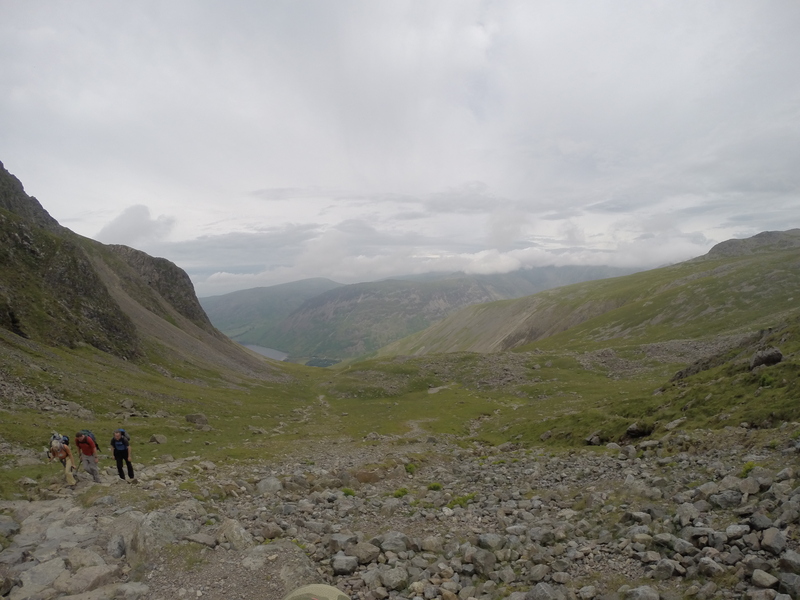 Perhaps I am still as fit as I was; the challenge of Scafell was just a different level to that I’ve experienced before…. Either way I definitely need to work out a bit more if I want to be at the fitness level I would prefer to be at!